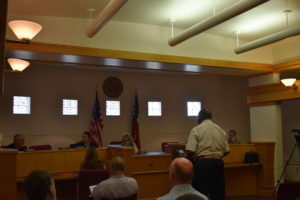 CROCKETT – During a meeting of the Crockett City Council held on Tuesday, June 20, the council approved monetary incentives for the new Dodge Chrysler Jeep Ram automotive dealership in Crockett. 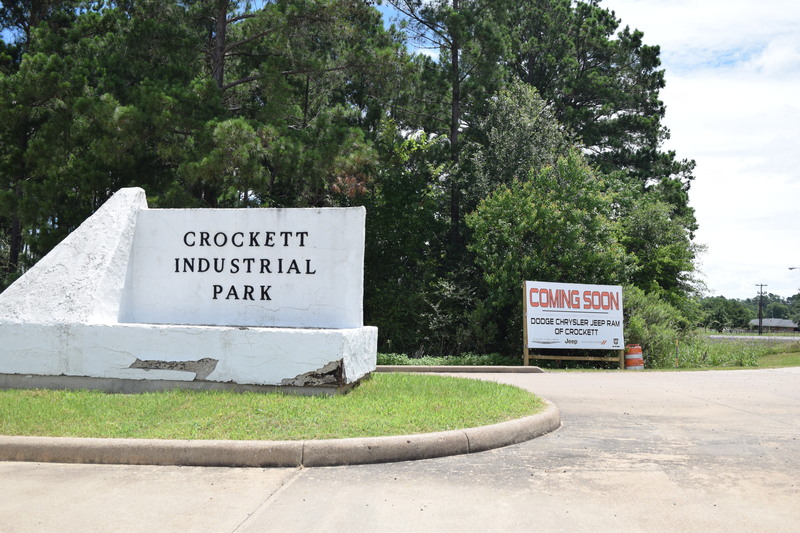 The funds will be provided by the Crockett Economic and Industrial Development Corporation (CEIDC), but because the CEIDC falls loosely under the um brella of the city, incentives in excess of $15,000 require approval from the council. After a brief presentation from Johnson Controls representative Larry Jones concerning the city’s infrastructure, CEIDC Executive Director James Gentry addressed the council concerning the proposed incentives to the auto dealership. “I met with the CEIDC board today about infrastructural incentives to the dealership to proceed with work at their location (in the Crockett Industrial Park). The amount we are looking for is up to $150,000. We have reviewed with the city attorney, Bill Pemberton, with the idea of a caveat for a performance agreement,” Gentry said. The CEIDC director explained the performance agreement would be formalized on Monday, June 26 if the council approved the incentives. Gentry was asked if the CEIDC board would get a chance to see the performance agreement before approval and he replied yes. Councilman Mike Marsh asked if the council would be able to see the agreement, as well, and was told yes. Marsh further questioned Gentry about the tax abatement approved for the dealership and Gentry said he was working with the city attorney on the matter to see if the tax abatement and the performance agreement could be tied together or if they should be two separate items. 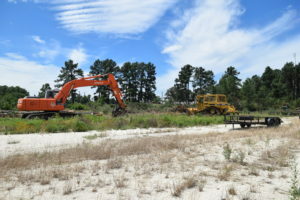 Councilman Butch Calvert inquired about a temporary structure being planned for the location and the CEIDC director said the temporary facilities would be incorporated into the final, permanent structures. “The reason to have this (temporary structure) happen is to provide a presence and to start providing service. Also, it will help bring vehicles to the site,” Gentry explained. “The money we are talking about is for the infrastructure only. The temporary facilities will equate to about $400,000. 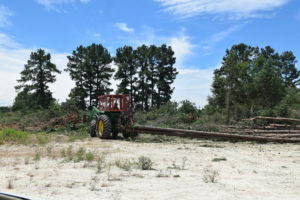 The final project will be over an $8 million investment,” Gentry added. As to how the incentives would be disbursed, Gentry indicated that part of the agreement was still under consideration. “I don’t think we can do anything until we see the performance agreement and see what it says. If we vote on it tonight and say we give it to them, we will not have even read it yet. I just think we need to see a performance agreement before we say okay. We got into this before and it backfired on us,” Marsh said. Councilman Darrell Jones said he disagreed with Marsh because the agreement would be over seen by an attorney and the CEIDC board. “It’s our job to look after the taxpayers’ money,” Marsh replied. Jones commented while that was true, the board and city attorney were already in place to make sure the agreement was correct. Calvert said it was not the attorney’s job to handle the taxpayers’ money. “It’s our job to make sure we do our due diligence when it comes to spending the taxpayers’ money,” Calvert said. “Until I see a performance agreement and read it …” Marsh trailed off. Calvert asked if CEIDC Board President Ansel Bradshaw would like to add anything to the discussion. Bradshaw, also present at the meeting, said the process used by the CEIDC board consisted of steps with the first step being for the board to recommend proceeding with the incentives. The second step would be for the city council to authorize the procedures while the third step would be the performance agreement. “When you look at the performance agreement, we want to make sure there are X number of jobs in it, there is a certain amount of pay, there is a timeline and at the end of all this, we would know when the full, $8 million dealership will be open,” Bradshaw said. Bradshaw said Marsh appeared to want the same things he wanted but added what the CEIDC was requesting at this particular meeting was for the process to move forward. He explained step one in the process was achieved in the earlier meeting of the CEIDC board and now the CEIDC was seeking approval of step two. The third step would be drawing up the performance agreement by Pemberton and then returning it to the CEIDC board to make sure they were comfortable with it. “ If the council would like to see it along with the mayor and the city administrator, we would have no problems with that,” Bradshaw said. 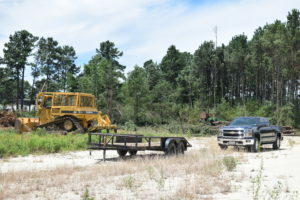 The board president said the owners of the dealership were present during the CEIDC meeting and after discussion, Bradshaw said he was comfortable in moving forward and presenting it to the council. As the dialogue continued, Bradshaw explained the CEIDC had the money to pay for the incentives and would not be taking out a loan. At the end of Bradshaw’s address, a motion was made, seconded and approved to move forward with the agreement with the stipulation that before any money was dispersed to the dealership, the city council must approve the performance agreement drawn up by Pemberton and the CEIDC board. Ray Bruner was appointed and Jim Dowell and W.L. Tillis were reappointed to the Planning and Zoning Commission. Chuck Cunningham was appointed and Ann McNabb, Detroit McCullough, W.L. Tillis, Nancy Venable, Diane Rhone and Mo Amjad were reappointed to the Building and Standards Commission. Leslie Crowson and David Tyer were appointed while Robert Thompson, Michael Brenner and Pat Dickey were reappointed to the Board of Adjustments. Christopher Jimenez was appointed as the Crockett Fire Marshal. Minutes of the regular council session held on June 5 were approved by the council.